CHENNAI: How many times have you seen street-lights glowing on deserted roads? To address the problem of power wastage, a team of students from the Indian Institute of Technology Madras (IIT-M) has developed an intelligent lighting system that ensures the street-lights take full effect only on detecting vehicular movement. When the road is empty, the lights go dim by 30 per cent. It is a fully automated lighting system, which was recently granted provisional patent for offering novel features. In the Chennai context, the city corporation drains 331.32 mega watts of electricity spending `52.08 crore per year on street-lighting, of which an estimated 30-40% goes waste. The Greater Chennai Corporation maintains 2,77,902 street-lights, of which 1,71,229 are energy-saving LED lights. Express that this was the first-of-its-kind system developed in India. “We can easily save over 40% of power though this intelligent lighting system, which is compact, cost-effective and easy to maintain. This is possible as people won’t be using the streets for all 12 hours at night and street-lights need not be at maximum brightness during all these times. Our basic principle is to save energy and costs by dimming the street-lights when they are not in use,” he said. On how it works, the four-member student team said the i-lighting is an integrated system with a control module, sensor module and LED driver. The control module is the brain of the system. It contains a microcontroller unit (MCU), which is responsible for synchronising the different modules and performing some basic computations. The control module also allows street-lights to exchange data between each other and with the cloud. It uses both RF communication as well as cellular networks to transfer data. The sensor module consisting of sensors such as the PIR (Passive Infrared Sensor) and ultrasonic sensor is responsible for detecting the presence of automobiles and pedestrians. Finally, the LED driver is used to control the amount of power supplied to the LED panel. “This allows us to control the brightness of the LED panel,” said Shashank R, Abhishek Nair and Arunabh Srivvastava, who are other team members. 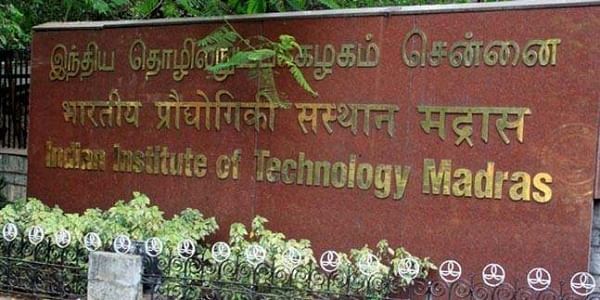 They said the project has been piloted on the IIT-Madras campus on three street-lights near the ICSR building. It was also tried on interior lights at Student’s Dean office, hostels and workshops. The performance has been satisfactory. “We are planning to approach the State government under the vision of Smart City for the next-step implementation of the product. The overall manufacturing cost of the outdoor system comes to around `2,000 to `2,200 and the cost can be recovered in three years and the life-span of the product is 15 years,” they said. The student team has been mentored by two IIT-M professors N Arunachalam and Lakshminarasamma N.